I'm so grateful to different financial talks that I've attended to last year. Aside from meeting different financial experts, I've learned a lot from insightful talks which led us to become more intentional in teaching our kids about financial stewardship. I'm not expert on this, to be honest and I'm still learning. Yet we desire to inculcate the importance of being a good steward of money to our kids. "Every child needs a head start on the Basic Laws of Money. Every adult needs to remember how simple the laws are." 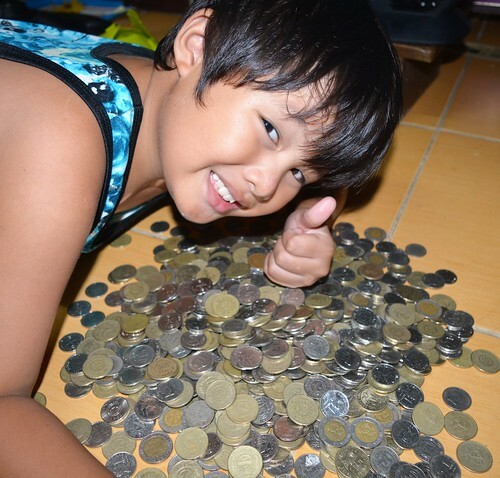 To mark Gabi's 9th birthday last December, we opened his piggy bank. This was the first time we were able to open a coin bank full of coins. We previously lost interest in doing this after we lost one (full) coin bank inside our house (yes, inside our house), but that's a different story. I've learned from Rose Fres Fausto during a financial talk, that our kids need to have their savings account the moment they were born. Neri of Nheng's Wonderland, a dear friend of mine, shared that every time her twin receives money, she will put it in their savings account instead of buying toys or new clothes. Oh, how I wish I knew these before, but as the old cliche' goes...better late than never. You see, I'm learning. "Raising your children with HIGH FQ is arming them with Economic self-defense!". Anyhow, we initially planned to invest his money in a mutual fund, but since the money Gabi collected from the piggy bank is insufficient, we end up opening him a savings account together with our toddler. Both of them already has their respective bank accounts. Gabi deposited the coins from the piggy bank in his account. He was delighted to experience it the first time. Since we are a homeschooling family, we don't give daily allowance to Gabi. Hence, we needed to find ways for him to earn because he cannot save money on a regular basis unless he is earning. During Sunday school, he usually earns points for certain accomplishments. What we do is we pay his collected points. 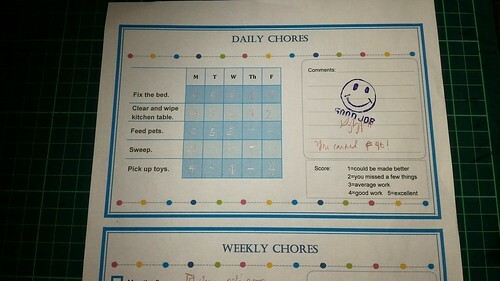 We also used household chores to reward him with money. I was told that some parents don't agree with giving money as a reward. But for us, we don't see any issues with it. 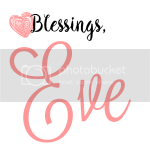 Whenever we account his earned money for the week, we make sure that a portion of it goes to his tithes/offering and the rest will be for his savings and expenses. We allow him to spend his money on things he wants. Thankfully, most of the time he will buy his money with books. There was one time, we were so blessed when Gabi allocated a big amount of his savings for the Lord's work. This was after we read the book Missionary Stories with the Millers. He said he want to give it for the missionaries. He understands the financial struggles that missionaries are facing thru that book. I hope he will continue this attitude of giving and generosity. 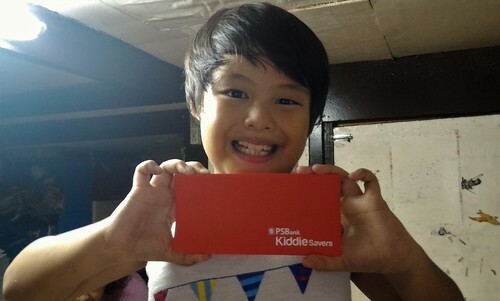 This January, he was able to deposit the money he earned last year including those he received from relatives last Christmas. Once he has enough money in the bank, we will start to invest it in mutual fund. I'm thankful to God for the opportunity to teach our kids about money at an early age. I didn't learn about this when I was his age. 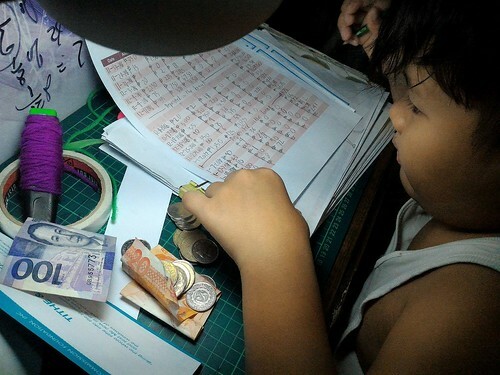 I guess It's about time we raise kids not just with high IQ but also with high FQ - Financial Intelligence Quotient, the ability to make sound decisions and actions in handling one's personal finances. I hope our kids will always be reminded of the importance of good stewardship and that they will be able to use whatever resources are given to them to the very best of their ability. "All Christians are but God's stewards. Everything we have is on loan from the Lord, entrusted to us for a while to use in serving Him."